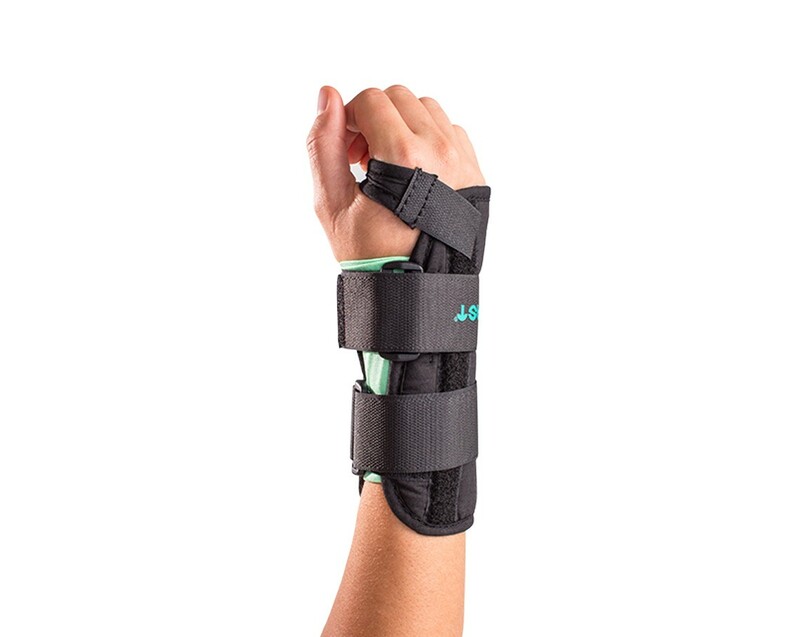 Shop our complete selection of wrist braces or browse additional Aircast products. How do the adjustable straps work - velcro, snaps, something else? The straps on the Aircast A2 Wrist Brace straps will adjust by velcro. We recommend washing the brace by hand using anti-bacterial soap and water then air drying. We do not recommend putting it in the washing machine or dryer as some of the materials may be compromised or damaged. Can you recommend a wrist brace for sewing and skating or should a person have two different ones? I am recovering from a sprain. The Aircast A2 Wrist Brace can be worn for both activities. The doctor just put my wife in an A2 wrist brace and we are looking for spares. Are they available in any other color than black? Her skin tone is quite pale (Irish) and she's over-conscious of her appearance. This item is only availible in Black at this time. You may want to look at the Aircast StabilAir Wrist Brace if color is a concern. If I have a wrist strain, afflicting my movement side to side rather than up and down, and I need to have a brace that can go in the ocean, what would you suggest? Your questions really depends on what you are doing in the ocean. If you plan on being active (Surfing) you'll need a DonJoy CXT & SXT Functional Wrist Brace to limit the motion effectivley. If you plan on being less active, a DonJoy ComfortFORM Wrist Support will suffice. Remember, you'll need to rinse the brace in fresh water after immersion.